1. Twist the key in the ignition ON position. 2. Turn the valet switch/button on - off - on - off- on then off. 3. The dash L.E.D. will flash once, and the siren chirps one time. I. Pressing button #1 on the keychain transmitter. II. Pressing button #2 on the keychain transmitter. III. 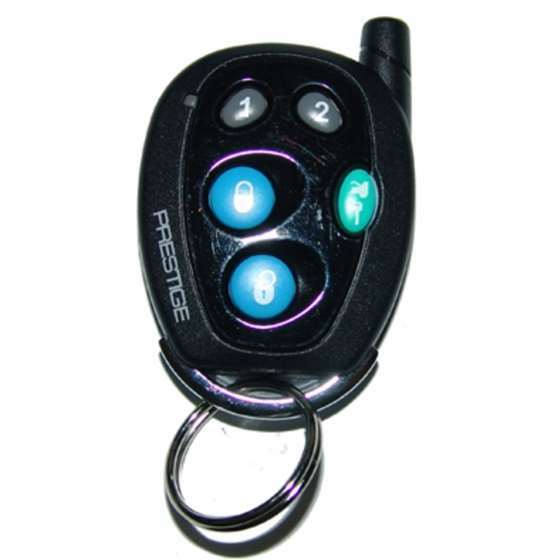 Pressing both buttons simultaneously on the keychain transmitter. 5 Press and hold the selected choice a, b, or c above, until the siren chirps to confirm that programming the channel 1 was successful. 6. Turn the valet switch/button on, and then off again. 7. The dash mounted L. E. D. will flash twice and the siren chirps once. 8. You can assign any of the two remaining button functions listed in 4a, 4b, or 4c above to operate channel 2. You cannot use the button(s) that operate channel 1, selected in step 5, to operate channel 2. 9. Press and hold the selected choice. The siren chirps to confirm that programming of channel 2 was successful. 10. Turn the valet/bypass switch on, and then off again. 11. The dash mounted L.E.D. will flash 3 times and the siren chirps once, indicating that the system is ready to accept programming for channel 3. 13. Twist the key in the ignition OFF position, or turn the valet switch/button on then off one additional time. Then you'll hear a long "chirp" from the siren which means the system's programming mode is OFF.